Right from the outset, George Payne Butchers’ aim was to buy the very best local meat possible from most honest and caring farmers and suppliers, and to keep it, prepare it, mature it and serve it to above and beyond the best standards – and at the right price. In turn, customers can rest safe in the knowledge that they are purchasing locally sourced meat with consistent quality guaranteed – and with the highest animal welfare standards assured through the entire process. The business sources prime beef cattle from a number of local farmers, having developed productive field-to-fork partnerships over many years. 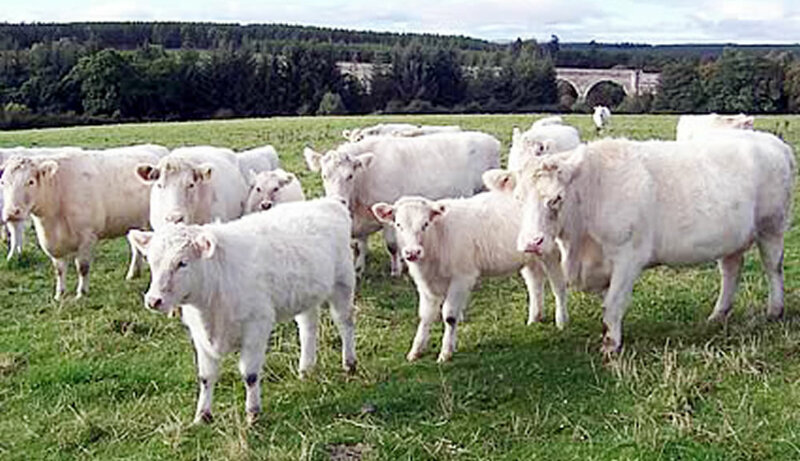 The meat comes from both recognised beef animals and traditional British and native breeds, such as Highlanders, Aberdeen Angus and Dexter cattle. The supply process for prime lambs is similar. It’s again local and involves a mix of both recognised and lesser known sheep breeds, among the latter Wensleydales and Zwartbles, for example. For many years, George Payne Butchers has sourced rare breed pork from Tom Burn, of Hunting Hall, Holy Island, who raises Saddleback, Tamworth, Gloucester Old Spot. British Lop and Middle Whites pigs. These old-fashioned breeds cannot be hurried and are slowly brought to maturity, ensuring the finished product is a very traditional joint, full of juicy flavour. And the crackling is out of this world! We are pleased to announce that we have established a trading partnership with a new local supplier, Northumberland Free Range Poultry, who have guaranteed us exclusive supply in Gosforth. Northumbrian Free Range Poultry It’s a business itself formed from a partnership of like-minded farmers based in rural Northumberland, a business with just one focus – to provide the very highest quality poultry reared in an extensive, ethical, free range manner with a total commitment to quality. They share the same ethos as ourselves. Situated on a traditional Northumberland family farm on the banks of the River Coquet, Northumberland Free Range Poultry provides organic free-range chickens, turkeys, ducks and guinea fowl. All poultry is reared in a natural environment, which provides the birds with a high standard of life from the day they arrive as day-old chicks until the day they leave the farm. They are treated with care and respect to provide them with as natural and stress-free a life as is possible. The farm has been organic since 2005 and is a member of the Farming and Wildlife Advisory Group (FWAG). When was the last time you really looked forward to a roast chicken dinner as a treat? Those days are back with Northumberland Free Range Poultry. You will taste the difference – guaranteed! We will supply guinea fowl to order and if any customers require organic we can source from them also. Other birds, many free-range, are sourced through recognised and long established local suppliers.